Buchanan Church of God is a member of the Allegheny Region Churches of God General Conference. Please visit their page for more information. 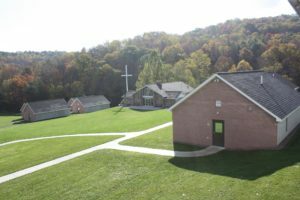 Nestled in the hills near Markleysburg, PA and Yough Lake is a 120-acre camping facility and retreat center. Located on the Mason-Dixon Line at the western end of the Maryland panhandle, the camp is conveniently located to many area attractions. providing facilities and an environment where the gospel of Jesus Christ may be proclaimed and where individuals are encouraged to seek and find greater meaning for their lives in Christ. Please go to this link to see more about the Camp and upcoming camps and retreats!